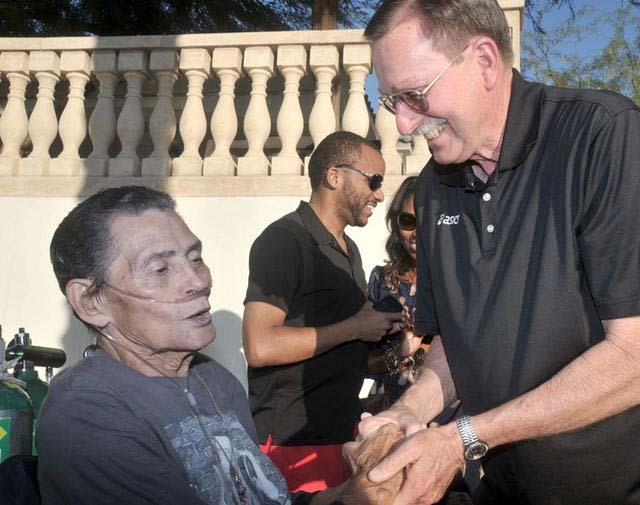 Nick Newton, a latecomer to track and field who gained fame as a record-setting masters sprinter and high jumper who invented an improved set of starting blocks, died early Saturday in Palm Springs. He was 84 and died of pneumonia at Desert Regional Medical Center after a three-day hospitalization, said his daughter, Pamela Crisp. Cremation was planned, she said, with a public memorial service from noon to 2 p.m. Saturday, April 7, at the track of Shadow Hills High School in Indio. 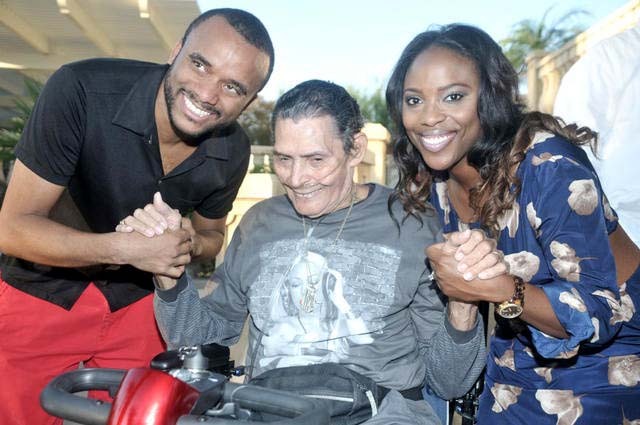 A mentor to the L.A. Mercurettes, an elite women’s track team, Newton helped coach a 15-year-old Marion Jones, said his friend of 35 years, Annelies Steekelenburg. She recalls a meet at UCLA attended by two-time Olympic champion Edwin Moses. “Nick was walking up the steps. And Edwin said: ‘Hey, Newt. Hey, Newt.’ That’s how loved he was. How famous he was,” she said in a phone interview. Olympic medalist John Carlos of the Mexico City Games protest was among his friends, she said, along with Olympic champion Daley Thompson of Britain, the world record decathlete. As a Nike-sponsored athlete, Newton competed in countries including Finland, Mexico, Australia, New Zealand, Peru, Italy and China, said a 2010 biography by his friend George Cohen. In 1976, Secretary of State Henry Kissinger sent Newton, fellow sprinter Carlos and other black athletes to South Africa. “They competed in the first mixed-race meet of the apartheid era,” Cohen wrote. Introducing adult age-group track to China, Newton took part in sprints at a September 1982 meet in Nanjing and included a woman in an exhibition relay. Jeanne M. Carter of Santa Ana thanked Newton and her other 4×100 teammates — Ozzie Dawkins and Alan Maxwell — for letting her share the baton. By then, Newton had also made a comeback from cancer. “Everyone’s been so nice to me. I don’t know how I can ever thank them,” Newton said in 1980, recovering at his Inglewood home after major operations — abdominal surgery to remove a malignant growth and a seven-hour procedure to excise some lymph nodes. Doctors reportedly said Newton’s superb physical condition would help speed his recovery. “He’s got the body of a 25-year-old,” one said of Newton — in his late 40s. In more recent years, Newton fought testicular and prostate cancer, and was forced to use a wheelchair after a failed hip replacement. In 2004, about the time he retired from competition, he was inducted into the USA Track & Field Masters Hall of Fame, noted for world records he set including the 400-meter dash (51.11 in the 45-49 group) and high jump (5 feet 6 1/2 in the 60-64 group as a Fosbury flopper). Former world-class sprinter Doug Smith of Laguna Hills recalls meeting Newton in 1979. A frequent traveler with Newton as a member of the Southern California Striders, Smith said he wept upon learning of his death. But he laughed in recalling his friend’s personality. “He was such a character,” Smith said in a phone interview. “When you were around him, you were always laughing because of the things he would either say or the things he would do. And he never, ever played up that he was the world’s best or world record holder, or any of that. In recent years, she said she talked every week with Newton. “If I didn’t pick up the phone or hear from [me] in two days, he said: ‘I’m going to drive out” three hours to her Malibu home. 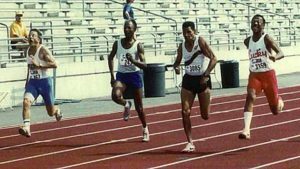 Brenda Matthews, a world-class sprinter in her late 60s, said she first met Newton in 2000 at her first national championships in Eugene, Oregon. Newton encouraged Matthews to become president of the Striders, an adult age-group club. Milton Alexander Newton Jr. was born Nov. 6, 1933, in Tarboro, North Carolina, “the son of parents who instilled in him an appreciation for the importance of God, family, country and education,” Cohen wrote. 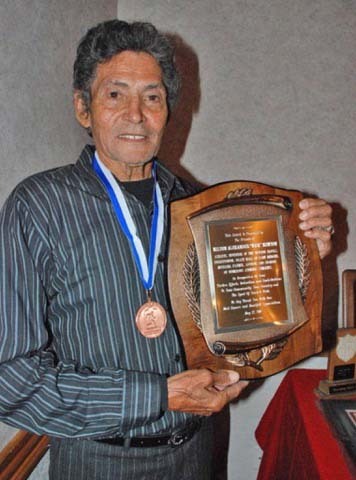 He moved to California in 1956 — having never run track as a young man. Going to work for Waste King, he became a tool and die maker, which gave him the skills to build starting blocks for his sprinter daughter Pamela. 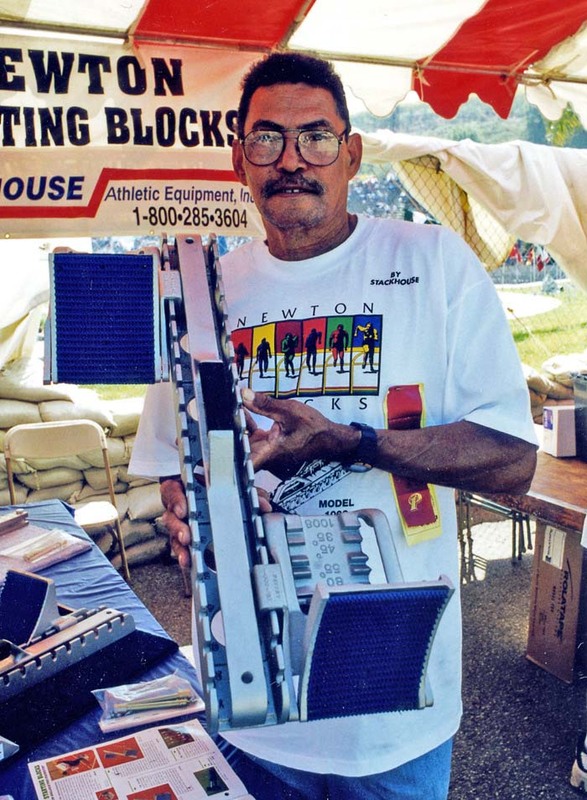 The invention of the aluminum Newton Blocks — later sold to Stackhouse — helped seal his place in track history. “His starting blocks rapidly became the choice of many high schools and colleges nationally, as well as numerous foreign sports programs,” Cohen wrote. His blocks were endorsed for the 1980 Olympic Trials, but a 1983 item in National Masters News said they wouldn’t be used at the upcoming 1984 Los Angeles Games. “I’m upset because I was never notified,” he said at the time. Newton didn’t stop inventing, though. In March 2013, Newton was 79 when he filed for a patent — for what his wife called a urinary control system for prostate cancer patients. He’d been working on it diligently for the past four years, she said. Coco Crisp, the retired ballplayer who also won a World Series ring with the Boston Red Sox, was one of his 11 grandchildren. Newton also had a son — Darren — and 16 great-grandchildren. At a ceremony Friday honoring the 50th anniversary of the Oakland A’s, Coco Crisp was honored, Pamela Crisp said. Newton also is survived by two younger brothers — Sonny Murray, a sport deep-sea fisherman in Redondo Beach and Kevin Newton, an artist in San Fernando. Coco’s sister, Sheileah Crisp, is a retired figure skater. “Coco’s wife, Maria, is an oncologist nurse who always assisted in Dad’s care in and out of the hospital and his beloved daughter-in-law Collette Newton, who loved him dearly,” Pamela Crisp said. Newton’s grandson, Darren Newton, works at Desert Regional Medical center and would check on his grandfather multiple times a day making sure he was well taken care of, Crisp said. Darren took care of Newton daily for the last five years from morning to night; he also moved in to help with his dad and remodel his house and anything else around the estate he wanted done. 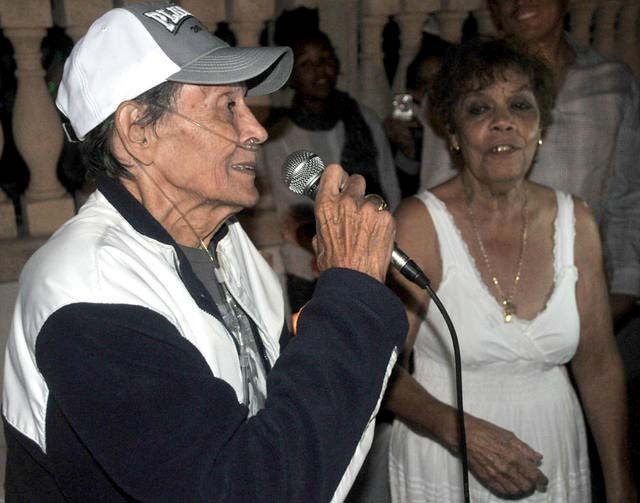 “Other grandchildren who live in the desert came daily to check on him — Davon, Sheila and Batina. Others are Gelina, Brianna, Mariah, Mahayla and Darren III,” she said. Great-grandchildren whom Newton loved and supported in their sporting events included Amailee, Caden, Collin, Christian, Micah, Sheila, Ja’Mya, Jaylen, Jamarian and Twan. Others are Kemani, Ayanna, Clarissa, Savon, Davon Jr., Anthony and RJ. Pamela Crisp called her husband, Loyce, her dad‘s best friend.